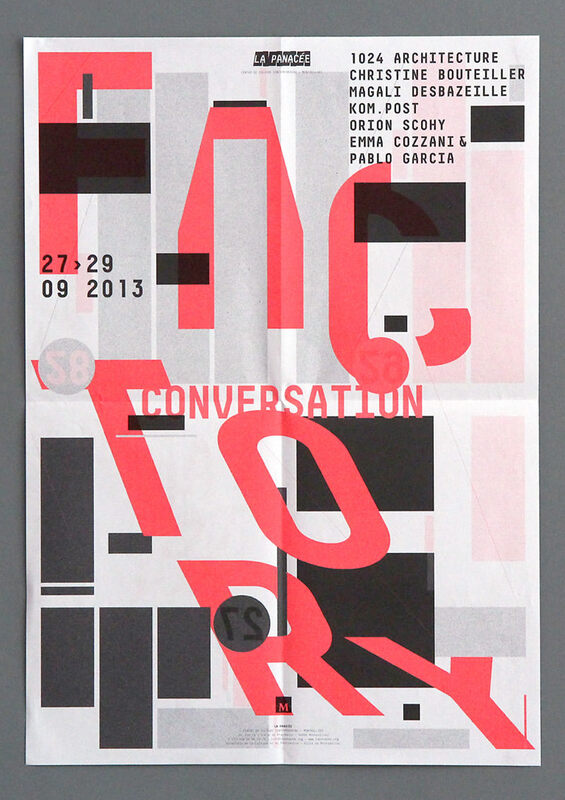 'Conversation Factory' was designed as a temporary and performative extension of the first exhibition 'Conversations Électriques'. 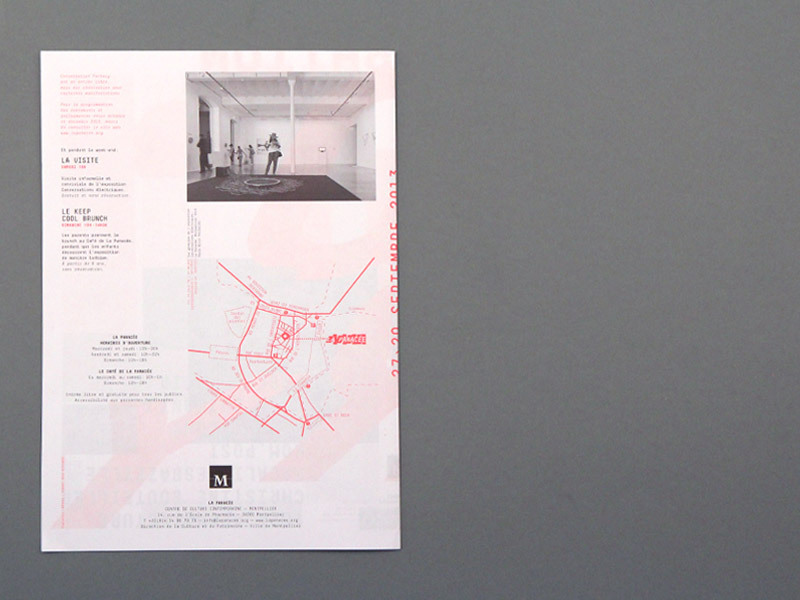 This ludic and convivial moment was the opportunity for the visitors and artists to meet. 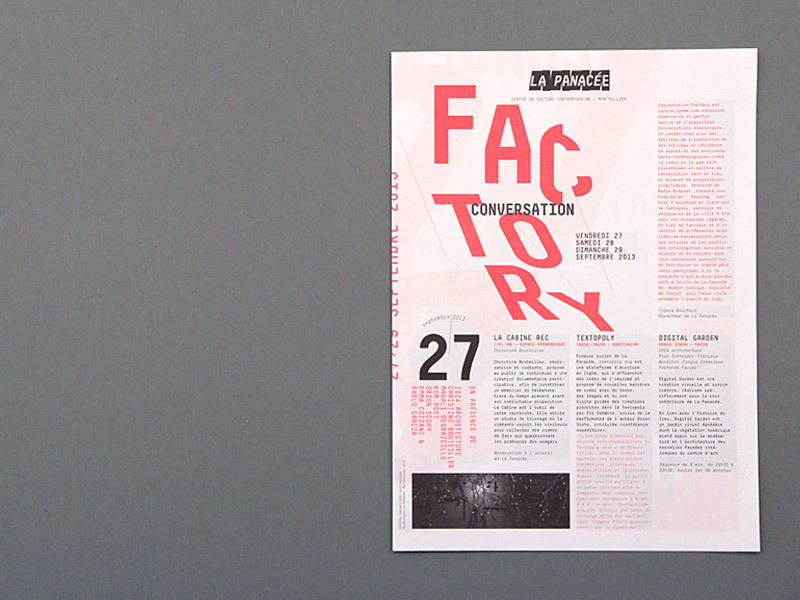 Our mission was to design an agenda for the event and we decided to create a folded flyer with a poster inside. 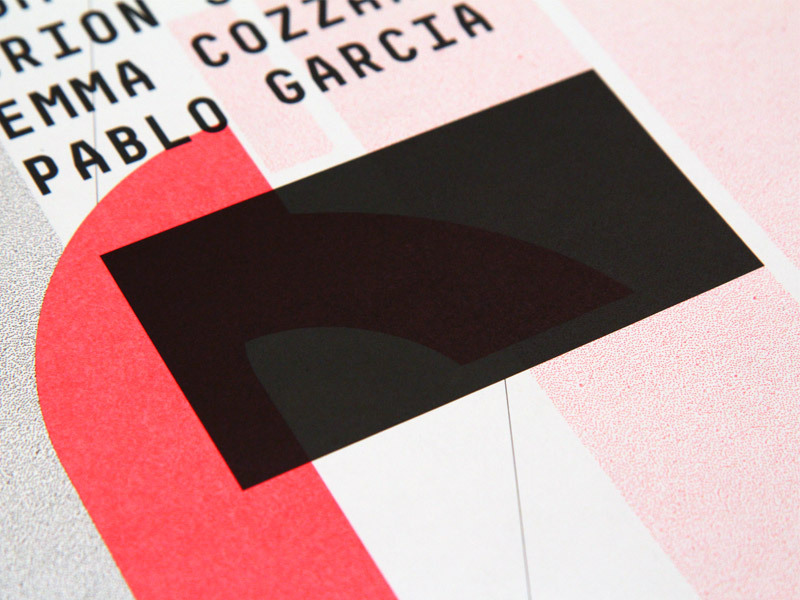 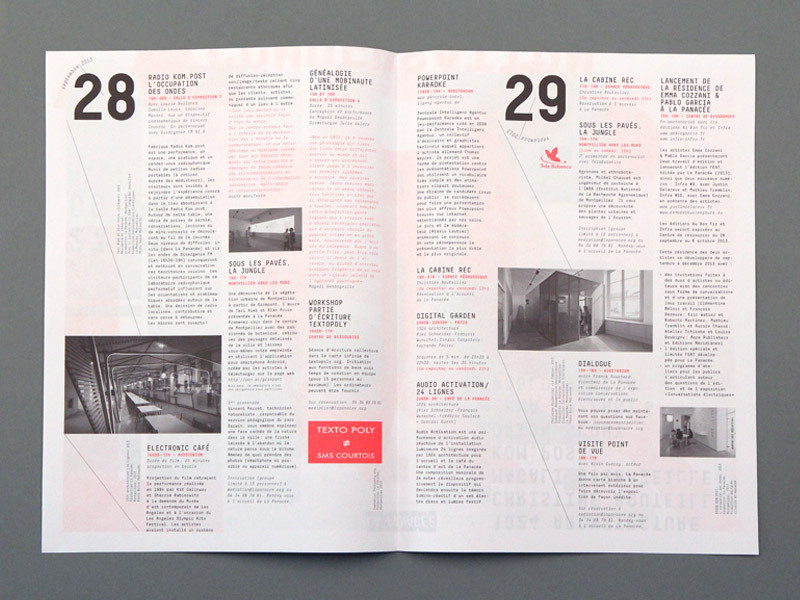 Designed as a working drawing, the poster's layout use the grid of the agenda printed on the other side, creating a dialogue between the two sides of object.